On opening The royal candle from Elemis, my first thought was wow, they've certainly put a lot of thought into the packaging! I love the purple and silver presentation box and they've even gone to the effort of decorating the glass tumbler. Scent wise, it's on the more subtle side, but I do like it's luxurious blend of lily, jasmine and vanilla, a combination which I find to be sweet and comforting. Neom Christmas wish reed diffuser on the other hand is made with pure essential oils of cinnamon, ginger, mandarin and tonka bean. For some reason it reminds me of Chai tea lattes, but a lot of guests have commented that it smells very similar to mulled wine. With such a powerful blend of essential oils, it's strongly scented and instantly noticeable on walking into a room. I found the bottle top difficult to remove (and would have preferred a screw top instead), but scent wise, it really is Christmas in a bottle! Finally, Next NOEL fragranced candle is a great high street alternative. It's a festive blend of cinnamon, apple, pomegranate, clove, musk and vanilla. Although it's not as strong as a Neom candle, it's by no means weak, and easily fills my room with it's festive scent. Prior to this, I had no idea Next even did candles, but considering the price, I'd say this is nearly as good as some of my more high end ones. 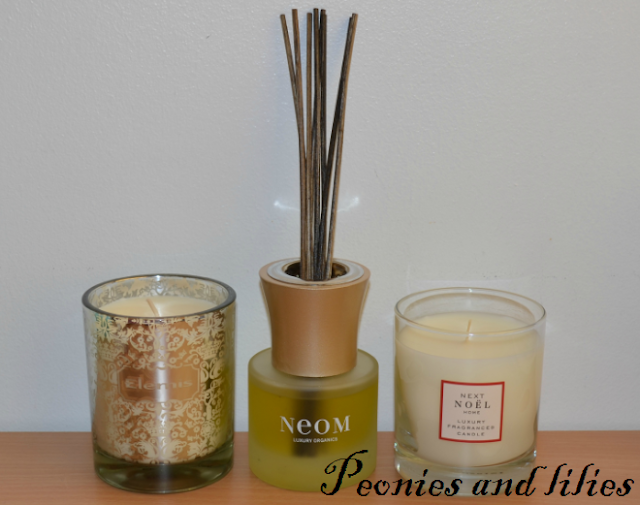 Definitely one to check out if you're on a budget or just getting into scented candles. Did you have a good Christmas? 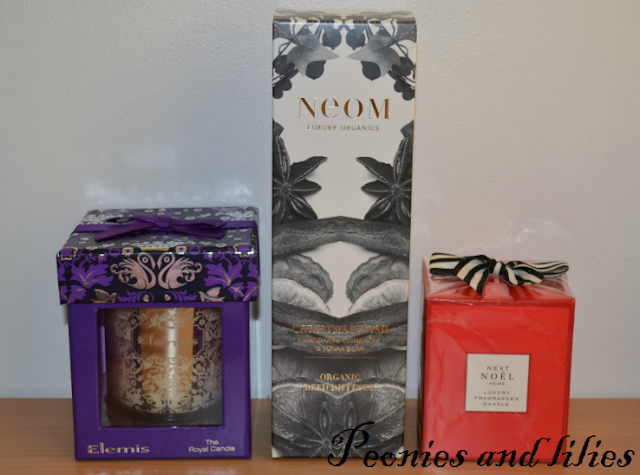 What are your favourite festive scents?